American singer Joe Jonas fascinated many soon as the star arrived with his dashing classical Denim-on-Denim looks in New York. 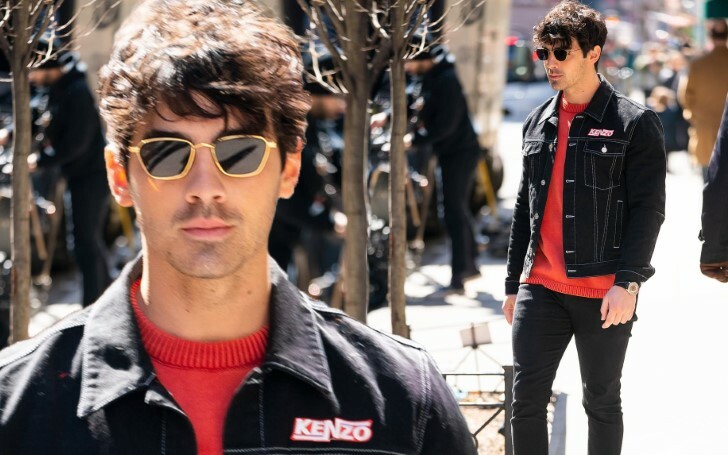 The music star Joe Jonas never compromises when it comes to fashion as the 29-years-old is often seen dressing up in fancy and desiring outfits. Well, this time the 'We Rock' star brutally rocked his looks and style by showing up in a trendy denim-on-denim appearance in Little Italy. American actor/singer Joe Jonas killing the vibe with classy Denim looks. The fancy star Joe's side cut hairstyle with silver dye hair added charm in his astonishing looks. The lady killer's muscular physique perfectly matched his blue denim jacket wear on a blue T-shirt, delivering his staggering personality. Joe was wearing black denim pants with a casual yet cool Vans shoes and black specs. 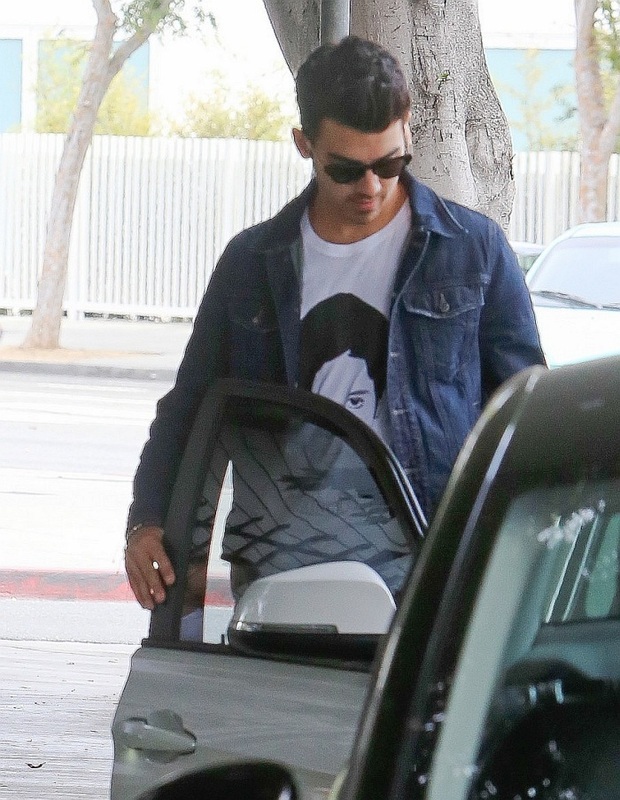 Joe Jonas with his stunning Denim looks. Recently after a certain break in their musical career, the Jonas Brothers reunited with a major comeback with their lit new song 'Sucker' which instantly acquired the number 1 spot on Billboard top 100 and 76 million views on Youtube within a week. The Lovebug hitmaker is often seen hanging around with his dazzling looks and outfits. Recently on March 16, Joe and Game of Thrones star Sophie Turner announced they are soon walking down the aisle. The duo was spotted cuddling and making out at Madison Square Garden.